This blog post has nothing to do with graphics, illustrations, downloads or similar. This is purely my attempt to contribute to the well-being and the survival of the little and big creatures we share this plant with. This one is about birds. Even if they were not so cute, even if their singing did not bring joy to our hears, even if their ability to fly did not inspire and amaze us from the days when were kids and even if they did not contribute to the balance in the nature by eating insects and spreading seeds around – birds would still be worth taking care of. Winters are, at least in our western hemisphere, by definition – cold. Plants are sleeping and food is hard to find. To all living beings. (That’s why beers go to sleep over winter, because there is nothing to eat.) Some birds just decided that it’s not worth it – suffering in the winter and they move south, others – stay, just like us. And these are the ones we should take care of. 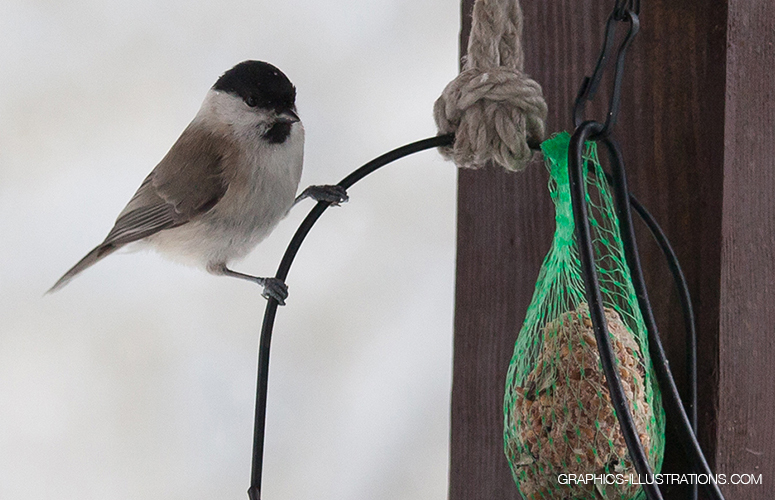 What can we do to help birds survive the winter? 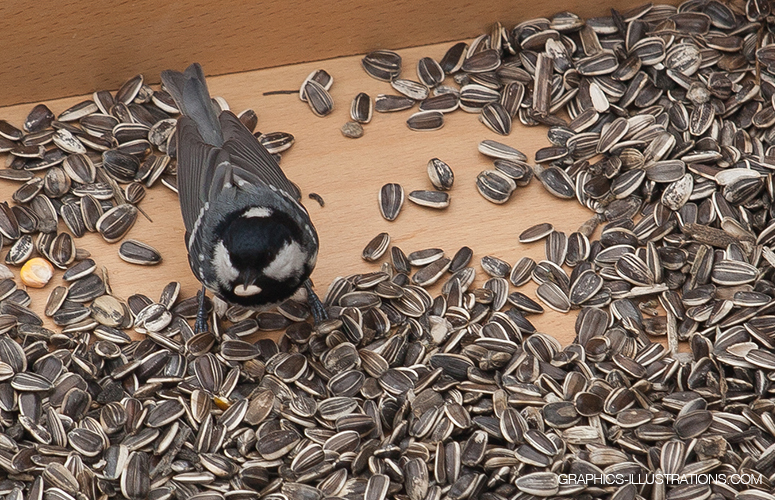 Well, I am feeding birds with sunflower seeds and fresh fruit. 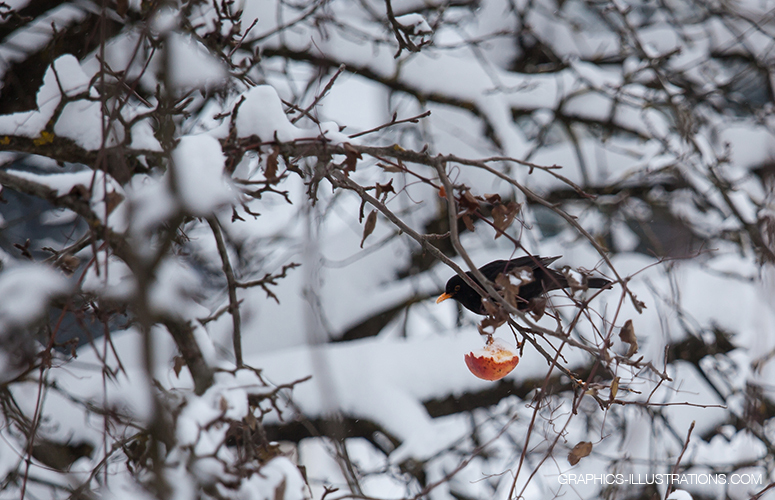 Also, I have left some apples on the trees so the birds can have a little snack of fruits too. Here are some photos I made around my house. 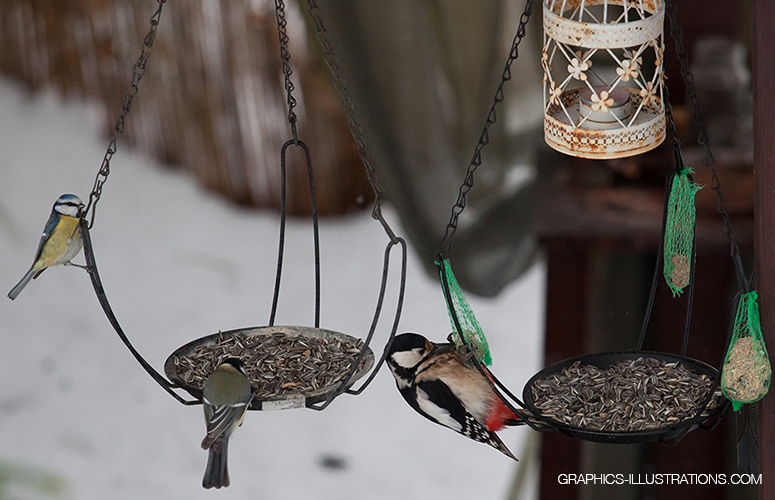 It was really enjoyable seeing them jumping around the feeders and getting their so much wanted meal. Even if you don’t have a house, there are some trees in your neighborhood (hopefully), use them to do the same. Food for birds is not expensive, one can get plenty for few bucks and it will mean the world to these little creatures who are pretty much helpless in the winter. You probably know that our race has wiped out 60% of animals population since 1970. We have annihilated 83% of all mammals from the planet earth and half of the plants since the dawn of our civilization. Let’s try to make as much as we can to at slow down this horrible trends. I and I believe that this is something anyone can do.